Can SmackDown Live hit a home run before the Rumble? The road to WrestleMania is almost upon us with the last major stop before we hit it being tonight’s SmackDown Live event in Washington, D.C. While go-home shows like this one are usually quite predictable when it comes to the Rumble, there’s certainly a lot of room for improvement upon last night’s final WWE Raw before the event. Several storylines still need to be advanced and there could potentially be room for one or two more matches to be added to the card. So, when you combine all of that with the fact that we’ve already got a handful of confirmed matches for tonight’s show, there’s cause for some optimism. While we do have five entries to come we’ll reveal now that Naomi and Liv Morgan are set to square off in the capital tonight, in a bout that could dictate whether or not the Riott Squad will play a big role in Sunday’s 30-woman Royal Rumble match. 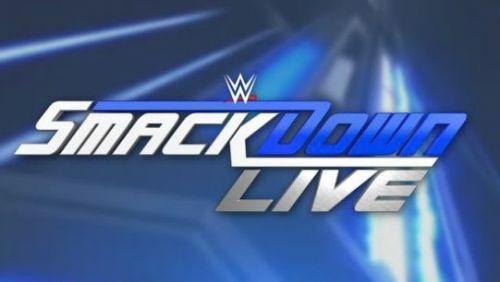 With that being said, here is our WWE SmackDown Live preview for January 23rd, 2018.
Who will make an impact before heading to Philly? It’s not exactly uncommon for multi-man matches to take place just days before a big-time pay per view, and this’ll probably wind up being the main event unless there’s another bout made on the night. 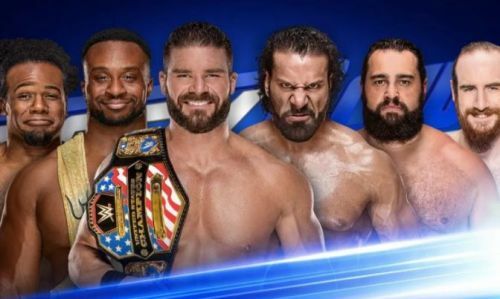 For those of you who haven’t seen the announcement, the new US champion Bobby Roode will be teaming up with two members of The New Day to take on Rusev Day & Jinder Mahal. The dynamic of the heel team will be interesting when you consider that Mahal and Rusev were partners less than a year ago, in addition to the potential return of absentee champion Dolph Ziggler who may make his presence known before the Rumble. Either way, we’re expecting some kind of fireworks.